My boyfriend acquired this lighter while working as a maintenance man at a local hotel (chief of maintenance). The hotel had just installed new safes in all of the room and he was the only one that knew how to open and reset them after a guest had checked out. 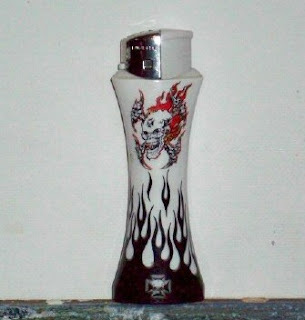 This lighter was left in a safe along with a pack of cigarettes. The maid was just going to throw it out so he brought it home to me.